Try “Rent” to get around multiple spots in the city. 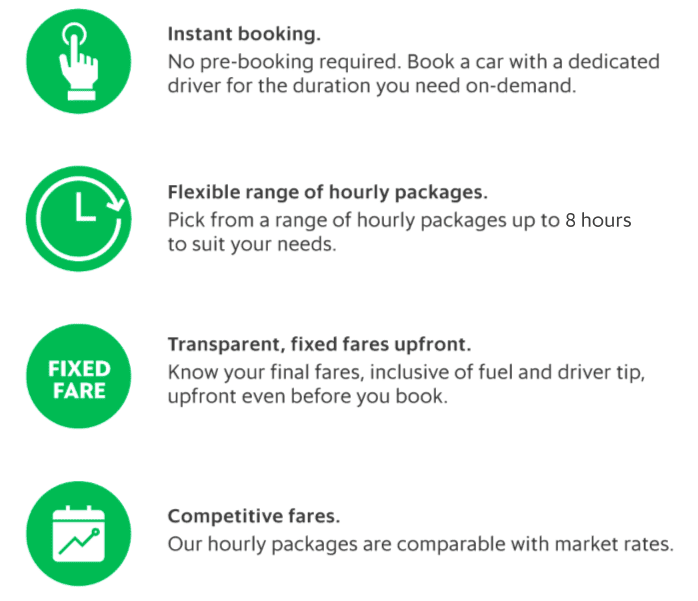 This hourly rental service comes with a chauffeur to take you for a spin; just like your own car! “Rent” is now available in Bangkok, Chiang Mai, Phuket, Pattaya, HatYai, Chiang Rai. Try out now to get THB 200 off for 2 rides. Hourly package including driving time back to the city. Step 1: Tap ‘Rent’ and enter your pick-up location. Step 2: Select one from our hourly packages. Step 4: Get ready for our GrabCar. Step 5: Use your in-app chatbox to commucate with your chauffeur instantly. Looking for a wallet-friendly way to get around? Go for Rent! outside city : hourly package including driving time back to the city.